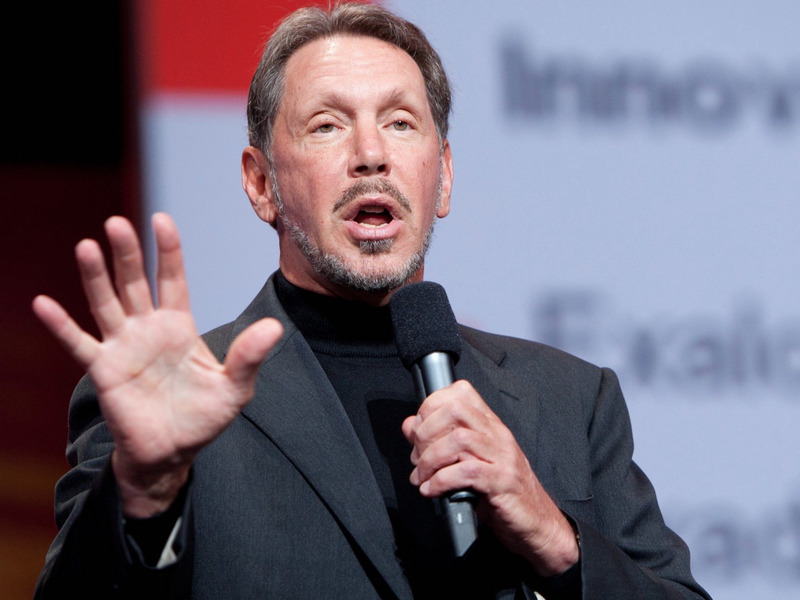 OracleLarry Ellison, the founder, CTO, and executive chairman of Oracle. Larry Ellison, the founder, CTO, and executive chairman of Oracle, defended Tesla CEOElon Musk during an analyst meeting on Thursday and said Tesla was his second-biggest investment, Bloomberg reported. Ellison reportedly criticised media coverage of Musk, who has attracted controversy in recent months. Larry Ellison, the founder, CTO, and executive chairman of Oracle, defended TeslaCEO Elon Musk during an analyst meeting on Thursday and said Tesla was his second-biggest investment, Bloomberg reported. Ellison’s comments came a day after Tesla posted a surprise profit for the third quarter, beating analysts’ expectations. “Tesla has a lot of upside,” Ellison said, according to Bloomberg. Ellison reportedly criticised media coverage of Musk, who has attracted controversy in recent months by making an unsupported accusation of pedophilia against a British diver who criticised him, smoking marijuana during an interview with Joe Rogan (recreational use is legal in California, where the interview was filmed), and tweeting about the possibility of taking Tesla private that led to a lawsuit from the Securities and Exchange Commission. According to Bloomberg, Ellison defended Musk, citing the accomplishments of Musk’s rocket company, SpaceX, which has built rockets designed to land on platforms in the ocean. Ellison reportedly acknowledged some of Tesla’s manufacturing difficulties but pinned them on Panasonic, which makes battery cells for Tesla’s vehicles. “Are there problems? Yeah, there’s huge problems with Panasonic because you’re trying to get these batteries to work and your primary cell manufacturer is having problems,” Ellison said. Yoshio Ito, Panasonic’s automotive head, told Bloomberg in September that Panasonic was responsible for bottlenecks at Tesla’s Gigafactory in Sparks, Nevada, where the automaker makes battery packs and drive units. The production issues Tesla has experienced since launching the Model 3 sedan in July 2017 have also been attributed to excessive automation at its factory in Fremont, California, where it assembles its vehicles. Musk acknowledged in April that Tesla had attempted to automate too many production tasks and said it would use more human workers in the assembly process. Tesla announced on Wednesday that it had the most profitable quarter in its history. The automaker beat Wall Street expectations by posting adjusted earnings of $US2.90 per share on $US6.8 billion in revenue. Analysts had expected adjusted earnings of -$US0.15 per share on revenue of $US6.32 billion. Tesla was also cash-flow positive for the quarter, recording $US881 million in free cash flow.